Learn how to make a lotion from scratch at home without any expensive ingredient and is easy to make as well. There are many reasons why you should switch to homemade lotions and stop using store-bought ones. First of all, homemade lotions are inexpensive and secondly, since they are made using natural ingredients, it’s non-toxic. 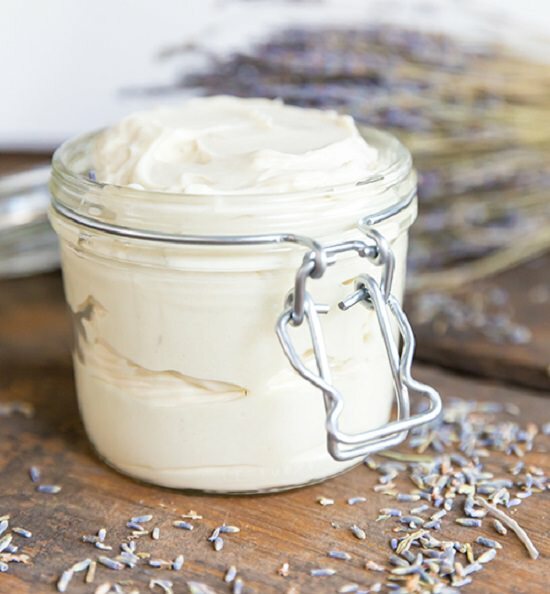 This all-natural lotion will keep your skin ever moisturized and healthy! 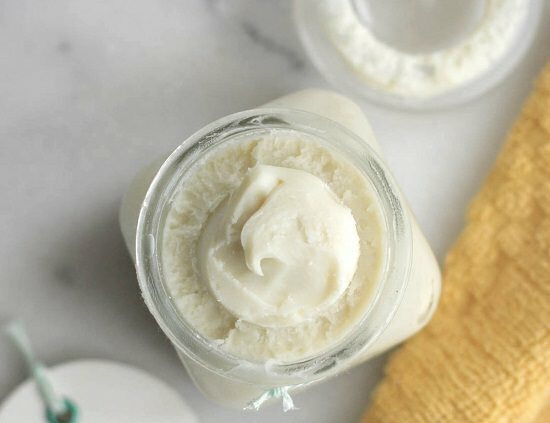 This homemade lotion works perfectly. Use it regularly after bathing and you’ll notice the dry patches to fade away. While thicker lotions work best for summer and lighter lotions work best for winters, there’s no fixed season to use this lotion. You can actually use this lotion in every season at all times! In a microwave container, place about 1/3 cup of shea butter and leave it to soften in the microwave. Mix coconut oil to the butter at room temperature. Make sure the coconut oil isn’t melted, it should be in a solid state. Mix both the ingredients using a hand or stand mixer for about 15 minutes. Mix 10 drops of lavender oil and 5 drops of chamomile oil to the mixture. You can choose any one or combination of essential oils as you like. Your homemade lotion is ready to use. Transfer the lotion to a sealable mason jar and use it daily after bathing. For starting experimentation, make a considerable little quantity of the lotion and use it regularly. If it suits your skin or if you are happy with the result, double the ingredients and make it again!